Having a hard time finding gifts for someone who seems to have everything? Buy them a kayak! 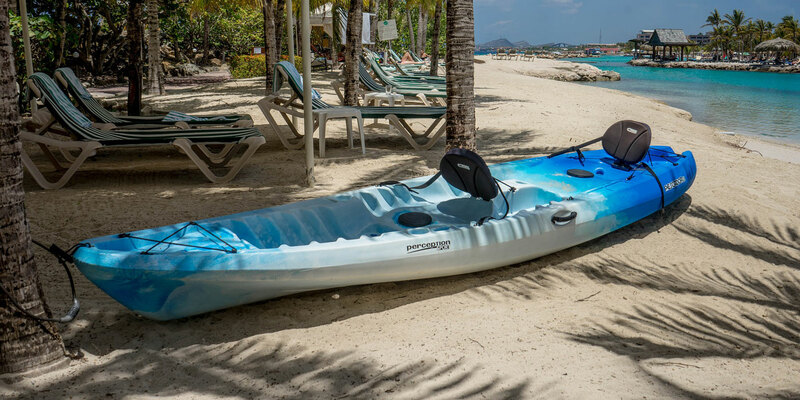 Well, if you are looking for something a little smaller and they already have a kayak, we have some ideas for you. Ranked by price, lowest to highest, here are some ideas to help you appear insightful based on your gift for your kayaking special person. This is one of those gifts that the receiver of the gift doesn’t realize they need it until they have it. My guess is that you have been in the car with some type of smelly gear (kayaking gear can get pretty potent) and it is hard to ignore. FunkAway eliminates the odor it doesn’t just mask it…air fresheners can only go so far. Great for a cheap stocking stuffer! Being on the lakes or rivers can be very bright with the sun reflecting off the water. Though there are many types of Chums, we recommend Chums Floating Neo because it does float. This will help your fisherman friend not lose those shades when he’s looking down into the water for tonight’s dinner. He will be sure to thank you! There are a variety of sizes and options for a dry case, also making the price vary. The Pelican brand is tried and true, our highly recommended option. These are for your more fragile or valuable items that you’d bring kayaking like a phone, camera, medical equipment, etc. You don’t want to mess around with cheap brands when it comes to keeping precious gear dry! A dry bag can work for a lot of gear but this is a significantly better option for sensitive gear that shouldn’t be moving around or compacted. If you are looking for a gift for a touring kayaking, chances are they have at least one dry bag already. This is an example of the type of gear that you cannot have enough of. There are sizes varying from 1 liter up to big bags around 120 liters and my guess is that your friend doesn’t have all of them. Not to say they need every size available but it is good to have options because every trip on the water looks different. We recommend the NRS Tuff Sacks because they are durable. There are some cheaper, thin options but the whole purpose of a dry bag is to keep gear dry and those thin bags could easily get holes in them; not ideal. The more someone goes kayaking, the more they want to know about it! The information they are gathering on kayaking is endless and continual. If the receiver of your gift is just getting into kayaking a guide book like this is a great choice because it really breaks down the sport in it’s entirety–different boats, different strokes, reading water, different gear, etc. There are also books for finding lakes to kayak or where in the ocean or on whitewater rivers. In order to whitewater kayak on a new river, you need a lot of information on the difficulty of the river, if there are any obstacles, where to put in and take out, and more. Common among the surfer crowd for a reason, a changing towel poncho makes the transfer from the kayak to the car easy—and modest! If you’ve ever tried to change out of wet clothes into the new dry pair with just a normal towel without showing some skin, you know it’s impossible. But be aware, whoever you end up purchasing this towel poncho for, they may end up wanting to wear it everyday! If you’ve noticed any complaining on your kayaker buddy’s hands getting cold, pogies are the perfect gift! They go around the shaft of the paddle so you can still hold the paddle directly, which gives you more control. They are made with neoprene so they will keep hands warm even if (and when) their hands get wet. While there are surely times to enjoy the sounds of nature, there are also times to turn a kayak into a party vessel. With this waterproof Bluetooth speaker you can attach it securely to a boat and get the party started! Key points are that this speaker is waterproof and Bluetooth capable so you can attach the speaker outside (where it will most likely get wet) and you can keep your phone safe in the kayak in a dry bag. Time to boogie! This gift is sure to boost the confidence of whomever is receiving it. This fishfinder will not only help find fish but also mark so you can return to hot spots, docks and ramps. No more of coming back from trips empty handed or getting lost on your way back to the ramp! 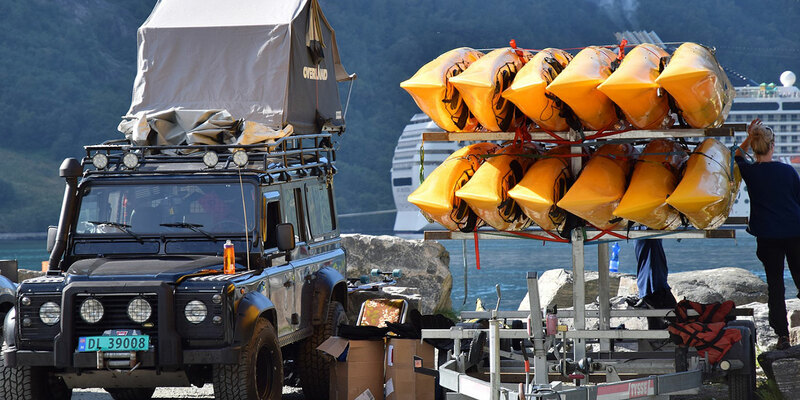 If you often find yourself inside a vehicle transporting the kayak equipment of the person for whom you’re buying deodorizer, you may be accused of buying this particular gift more for yourself than for the kayaker. Let’s face it: Kayak equipment gets pretty smelly in an enclosed setting, like you can’t ignore it kind of smelly, like if you don’t do something about that kayak smell I’m going to leave you for a raquet-baller kind of smell. Air freshener only goes so far in covering up that kayaky stench. Deodorizer, on the other hand, eliminates the odor instead of merely masking it. You don’t have to limit deodorizer use to the car, of course. Eliminate that kayaky stench in the garage, shed, or side yard as well. To the uncaring friend of a kayaker, this handy stocking-stuffer might seem like a strange gift. Your kayaking friend, however, is lucky to have a caring gift-giver who understands the need for eyewear while on the water and the need for that eyewear not to fall off into the aforementioned water. Just imagine the overflowing gratitude your kayaking loved one will feel while wearing proper eye protection as the sun sears his friends’ corneas because they have no strap to keep their sunglasses on their head. And, of course, we all know that kayakers look a lot cooler while sporting shades. Every time you ask your special kayaker for pictures of his day on the river or the lake, he has none because he left the phone in the car so it wouldn’t get wet. If he had a dry box, he could put the phone inside–taking it out for photo opportunities–and show you all the awesome things he sees while enjoying the outdoors. Dry boxes come in different sizes, but they all have the same purpose–to keep stuff dry. Gifting a dry box will also eliminate the “I didn’t answer your 9 phone calls because I didn’t have my phone with me out on the water” excuse when you call. The thing with kayaking is it requires water. Unfortunately, kayakers often bring gear that water would make unusable–think sleeping bag, change of dry clothes, camouflage underwear. Dry boxes are great for small items like cell-phones, cameras, matches, and a picture of you, but for larger items, you’ll need something bigger–like a dry bag. Not sure if your kayak loving friend or loved one has a dry bag, don’t worry. Since every trip is different, you can never have enough dry bags. You wouldn’t, for example, need the same size bag for an overnight kayaking trip as you would for a half-day of fishing on the lake. And for those hard-core kayakers, they can put their stuff inside their current bag and put that bag inside the bag you give them. That’ll keep things dry! It’s time for a personal question about your recent internet searches. Did you type the phrase “Gifts for Kayakers” or something related into an internet search box? Or did you just happen to come across this catalog of gift ideas for kayakers by accident? Either way, you’re here because you’re trying to buy a gift for someone you’ve identified as a kayaker above all else. And if you chose the term “kayaker” as this person’s primary identity, he or she loves kayaking and wants to know everything there is to know about it. This person loves kayaking so much, he or she would not only read a kayaking guide, but might even start reading before everyone’s finished the gift-giving, gift-opening traditional exercise. It’s none of our business how your kayaking friend or loved-one changes clothes after a day on the lake or river before entering a vehicle. Some kayakers, honestly, don’t mind stripping down and becoming one with nature as they transition from the world of kayaking to the world of driving. Some, however, prefer not to bare it all as they change. These people would agree that covering themselves with a poncho, changing-towel, hood thing is a far better alternative than crawling into a brier patch with a beach towel while risking an unmentionable injury. Kayakers will agree that a world with poncho, changing-towel, hood things is a better world. Before I tell you what pogies are–in case you don’t know–find out if this gift would qualify for your kayaking friend by answering the following question: Does this kayaker (the one you’re buying this gift for) whine a lot or complain from time-to-time about his or her hands getting cold while kayaking? If so, he or she would love a pair of pogies. Pogies allow kayakers to maintain direct contact with the paddle during cold weather without one’s hands getting cold. Pogies allow for maximum dexterity during the kayak-paddling portion of kayaking, which is pretty much most of the time. Sure, the sounds of nature are nice and relaxing, but the sounds of a freaking party in the middle of the lake are sometimes nicer. If you recall from earlier gift ideas, and perhaps prior experience with a kayak, kayaking requires water, and water ruins electronics (see dry box gift idea above). And you could put a speaker in a dry box or dry bag, but any head-banging, music-loving kayaker could tell you that muffled music on the lake sounds inferior to unmuffled music on the lake. Therefore, a waterproof speaker would provide the most happiness for kayakers who like to rock, hate the sounds of nature, or both. Remember that time you were kayaking and you saw Big Foot and you grabbed your camera to take a picture, but your camera had run out of battery and so nobody believed you’d actually seen Big Foot? It happened to me, too. But it will never happen again, if the camera is charged. And how can you charge a camera in the middle of a lake? With a solar charger, preferably one that can get wet and still work. Fish populated waterways long before the first kayak ever touched water, giving fish a huge advantage when it comes to fishing from a kayak. It’s time to even things up and teach those fish who controls the seas with a fish finder. No more spending time in the wrong spot, hoping a school of fish swim right under your kayak ready to be hooked, fried, and eaten. 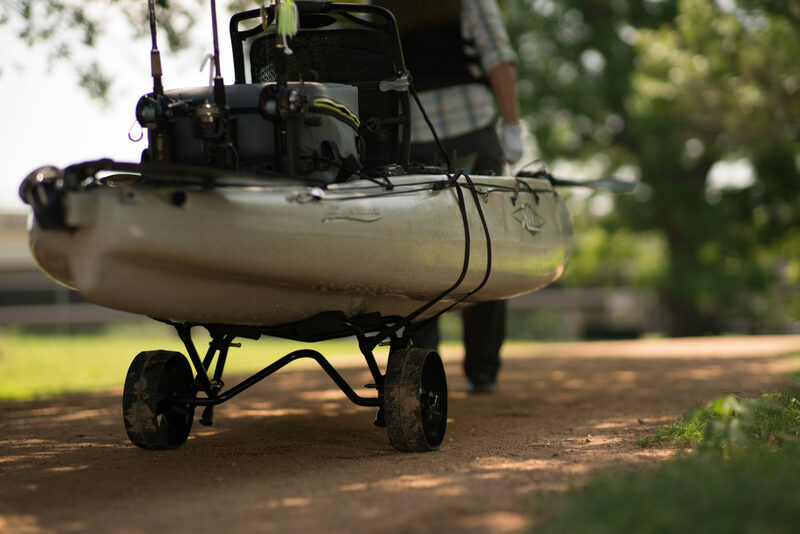 With a fish finder, there’s no need to wait and wish because you’ll know. And despite its name, fish finders can be used for more than just finding fish. They’ll tell you water depth and identify other underwater objects as well. Whether it is the holidays coming up or a birthday now you won’t be lost in the search for the perfect gift! Kayaking can be an expensive sport so chances are your paddling pal has the bare minimum. Receiving a kayaking accessory is a memorable experience because it shows the giver is paying attention to their hobby and it is another great excuse to get out on the water–they need to try out their new gift! Maybe they will be so grateful they might even ask you to come along!